Psychological horrors have become something special over the last few years. Not that they ever went into obscurity, but over the last five years or so, there’s been an unbelievable release of uncompromising and challenging psychological horrors that offer an alternative for those looking for something “more meaningful” to their horror. Of late, the perceived success of a horror film has become about how scary it is. If people don’t find a particular horror film scary, then they consider it a complete failure. This is sad, to say the least. In an era where everything’s been done before, it’s hard to truly shock audiences who’ve seen it all and have become desensitized. Just like how a comedy doesn’t have to make you laugh out loud to be considered funny, or how a drama doesn’t have to make you cry to be considered dramatic, horrors don’t have to make you jump out of your seat with fright to be considered good. This makes psychological horror an interesting genre. Films in this genre don’t rely on scare tactics to get the viewer’s attention. It’s more about what terrifies the characters, even if it doesn’t necessarily terrify the viewer. Psychological horrors are more like living nightmares, whereas traditional horrors are more like nightmare scenarios or situations. The question of sanity, what’s real, who you can trust, or what choices are the right to make and their horrific consequences is where the real horror lies within this genre. Working more as character studies, psychological horrors have become one of the most interesting genres to watch. And with more and more genres blending into each other these days, a few films on this list may be a surprise, but they do work, arguably, as psychological horrors on one level or another, thus their inclusion on this list. Mental asylums have always been synonymous with horror movies because of their long and notorious history regarding treatment of patients, and the boundless opportunities to venture into the darkness of insanity. It’s easy to set a horror film in an asylum, but way harder to make it something special with a lasting impact. 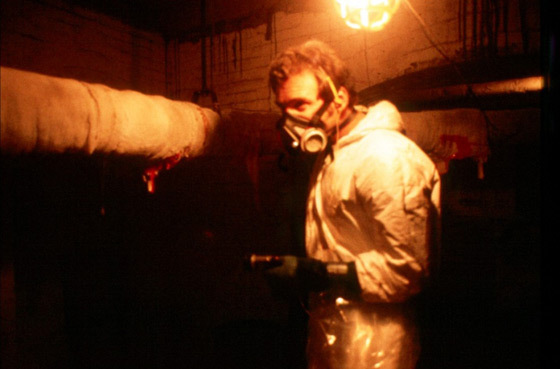 In Brad Anderson’s “Session 9,” an asbestos abatement crew takes on a job at an abandoned mental asylum. Eerie things in the asylum start occurring that affect the crew’s mental state, especially when they find nine taped sessions with a patient suffering from a dissociative identity disorder. Filmed in an actual asylum in ruins, Anderson and cinematographer Uta Briesewitz capture the spookiness of the building effectively without needing to add anything to the already perfect set. It’s the standout character of the film, much like the Overlook Hotel was in “The Shining.” Anderson subtly poses a question whether the asylum is actually alive and controlling the happenings, or if it’s the characters own reactions to the surroundings. And of course, the tapes that one of the characters obsesses over are another highlight as we listen to some captivating voice work that adds to our imagination. “Session 9” is a brilliantly well-made film with strong performances that add to its creepy and tense setting, where paranoia and mystic fill the atmosphere. 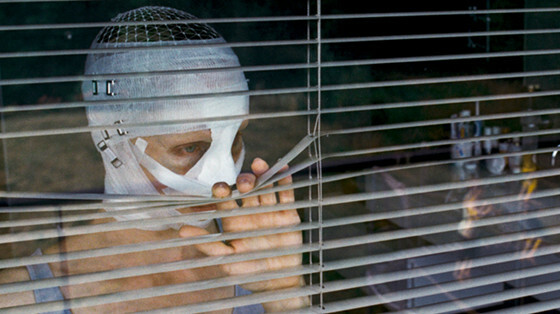 The Austrian film “Goodnight Mommy” is one unique film that’s about the experience more than plot. Written and directed by Veronika Franz and Severin Fiala, the filmmakers successfully craft a slow-burn horror that takes its time setting up the premise before all hell breaks loose. Two nine-year-old twin boys spend their time exploring their quite isolated lake house while waiting for their mother to return from the hospital. At first, all seems well when she returns with her face bandaged from cosmetic surgery. But small details make the boys start questioning whether the woman is actually their mother. If not, then what does she want with them, and where’s their real mother? Starring real-life twins (Elias and Lukas Schwarz), the boys give excellent performances as the curious siblings who don’t need a lot of dialogue to communicate their thoughts with one another. Through shared looks and glances, the twins tell us everything we need to know. Children in danger are always an excellent tool in garnering audience sympathy and an even greater sense of danger. Before long, we too realize that there is something awfully wrong here, and it’s not the work of the children’s overactive imaginations. “Goodnight Mommy” soon evolves into a dark and violent horror that plays out like a fever dream that just keeps getting worse, with haunting visuals and the uncertainty making it hard to forget, featuring beautiful locations and sets with a tense atmosphere that all lend to a taut and suspenseful horror that grips viewers from the word go. The year 2017 proved to be a year of reinvention for the “Twilight” film series’ two biggest stars, whose careers and personal lives were tied together to the success and backlash of that series. First, Kristen Stewart proved herself in Olivier Assayas’ “Personal Shopper,” and then Robert Pattinson in the Safdie brothers’ “Good Time.” Both actors fully immersed themselves into challenging roles that paid off their foray into indie filmmaking, taking the first steps to the bright careers that were once promised. While initially released in France and at film festivals around the world in 2016, “Personal Shopper” made its way to most countries the following year. Stewart plays a young American woman living in Paris who works as a personal shopper for a celebrity so she can linger on in the city to communicate with her deceased twin brother. Assayas’ film is a lot of things at once: it’s part horror, part thriller, part mystery, part supernatural, with a light touch of erotica thrown in for good measure, but at its core, it’s a psychological film that delves into the depths of grief, death, and loneliness. Themes that are tied together and made work with captivating precision by Stewart’s performance. Assayas makes excellent use of Stewart’s talents by tapping into the actor’s trademark sensibilities. By offering us a root cause of her awkwardness and loneliness, we’re able to see Stewart as we’ve never seen her before. Her inability to move on from her grief highlights her inability to move on from her own personal demons. She’s an old soul in a young person’s body, and unable to connect with anyone in any meaningful way. While billed as a supernatural psychological thriller, there are a lot of scenes that arguably work as pure horror, either from their direction, cinematography, or execution. The opening scene with a spiritual presence in her late brother’s home is as spine-tingling as anything you’ll find in any good horror. The long and drawn-out sequence where she texts back and forth with an unknown (somewhat perverted) presence is one the most suspenseful things you’ll see this side of the century. Thus earning a place on this list, and making Stewart (and Pattison’s) careers from now interesting to watch. Alejandro Amenábar’s “The Others” is a surprising film: first because of its old-school aesthetic that harkens back to classic ghost films of old, and second, because it captures its classic ghost story novel inspirations so well. Nicole Kidman plays Grace Stewart, a mother who lives in a remote house in the countryside with her two young children. After the end of World War II, she awaits her husband’s return and hires three new servants to help with the children, who have a rare disease that makes them sensitive to light. She tries her best to hold it together as strange noises and an ambiguous presence start to stalk the house, and there’s no continued word of her husband’s return. As usual, Kidman gives her all in a demanding and layered performance that stands next to some of her best work. Her English accent is spot on and she instills Grace with the (pardon the pun) grace and warmth of a mother trying to do the best for her children. The rest of the cast turns in stellar performances, making “The Others” one of the best-acted horror films since it was released. Haunted house films aren’t easy to pull off in an age where audiences have seen their fair share, but Amenábar plays it smart with the genre tropes, making certain parts of it unique. Every scare and Grace’s questioning of her own sanity is earned. The twist ending might not be as shocking as it was upon release, but it doesn’t derail what came before in any way. From shots of the house covered in fog to the continuous darkness around the sets, and the eerie score composed by Amenábar as well, “The Others” is a masterwork of atmosphere, horror, and filmmaking. 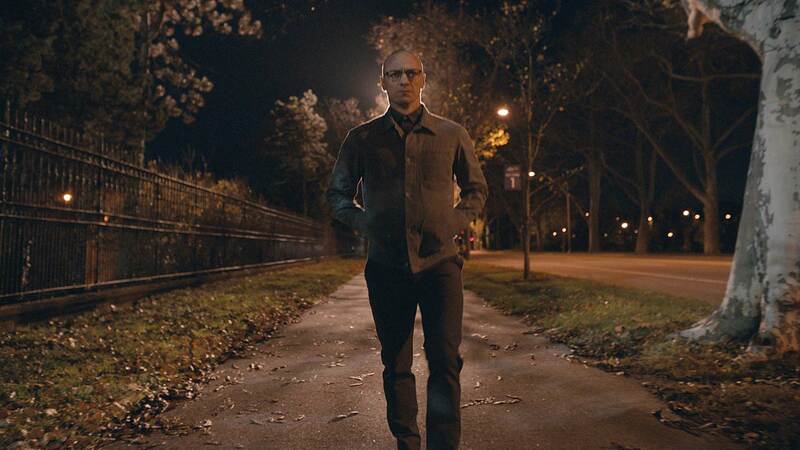 After a few years of critical and box office failures, M. Night Shyamalan returned to form with what he does best. It’s no coincidence that a psychological horror film was what first propelled him to success, and what would later resurge his career years later. 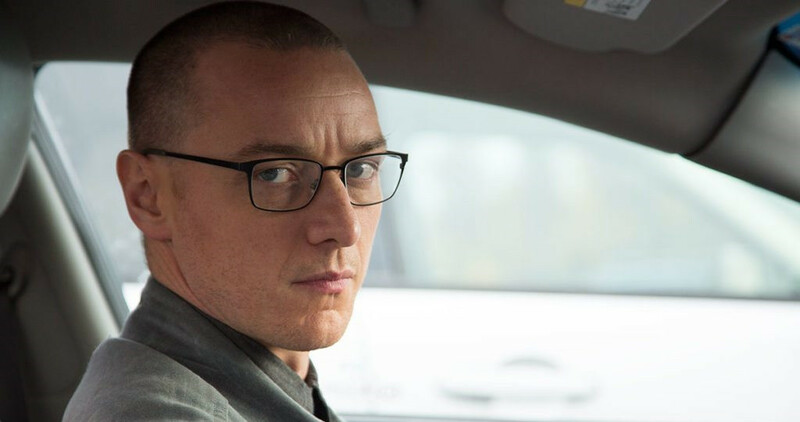 “Split” stars James McAvoy as a man with 23 different personalities who kidnaps and imprisons three teenage girls. As the girls try to figure a way out of their predicament, they get entangled with the man’s personalities, one of which is a villainous cannibal with superhuman abilities. McAvoy gives his all in a complex performance that the whole film rests on. There’s no way the film would’ve worked at all if he didn’t deliver the goods, and thankfully he does and then some. It’s a testament to the actor’s talents and brave commitment that he manages to pull off all that’s asked of him. While the main attraction is watching McAvoy flex his acting muscles and getting into the psyche of his character(s), the other side of the coin is Anya Taylor-Joy, who plays one of the teenage girls, Casey. She’s dealing with her own tragic past that makes her the most equipped to handle their situation. She’s a mirror version of their abductor, and holds the key to their escape and her own personal liberation within herself.